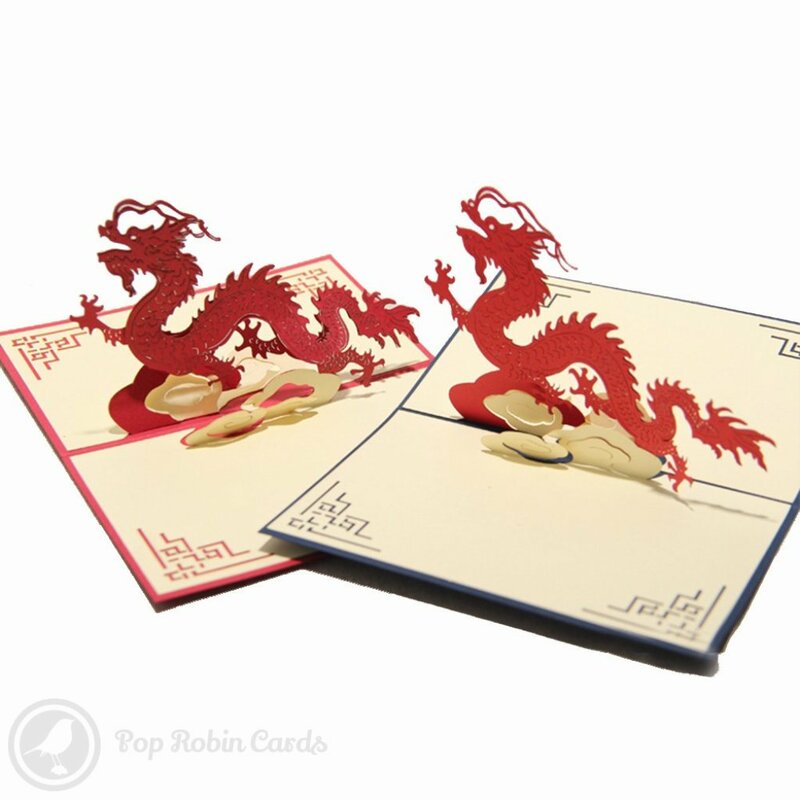 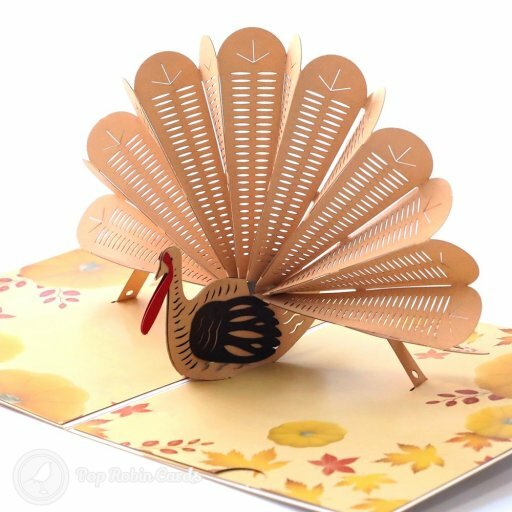 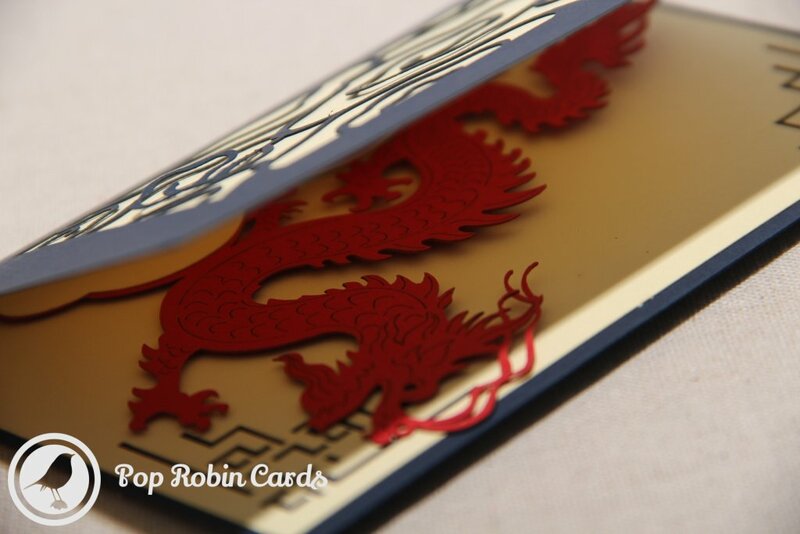 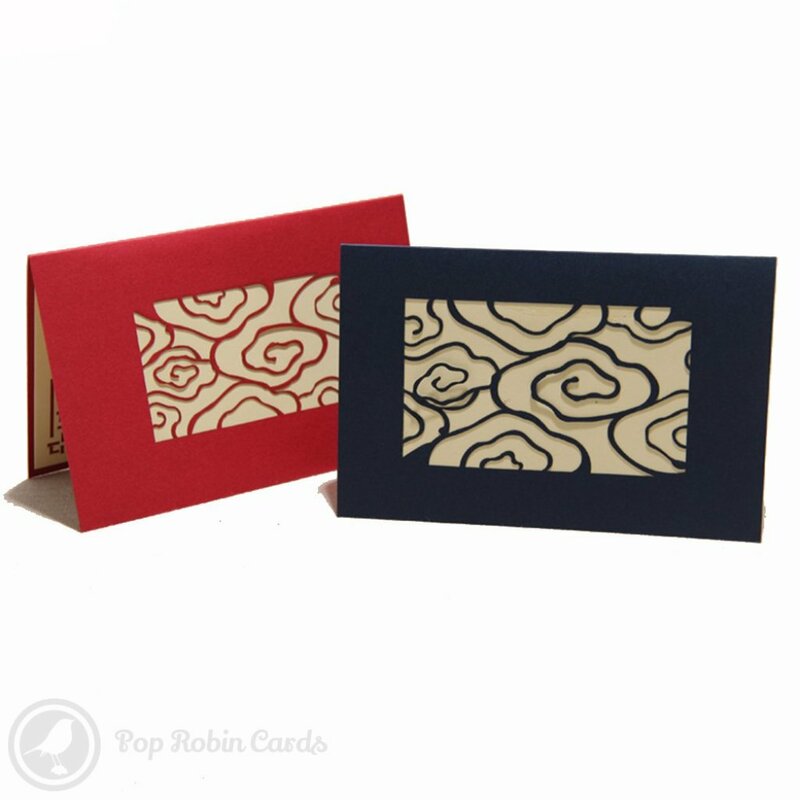 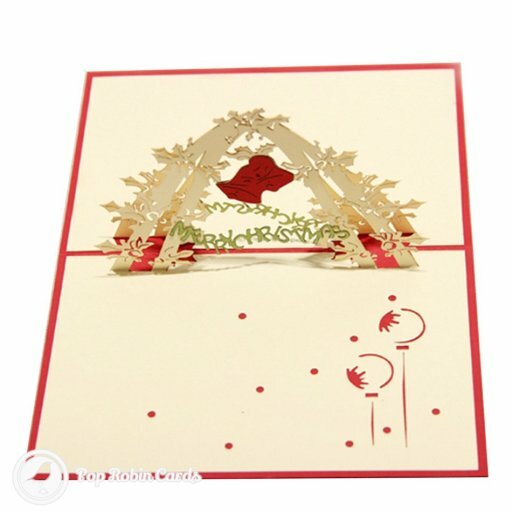 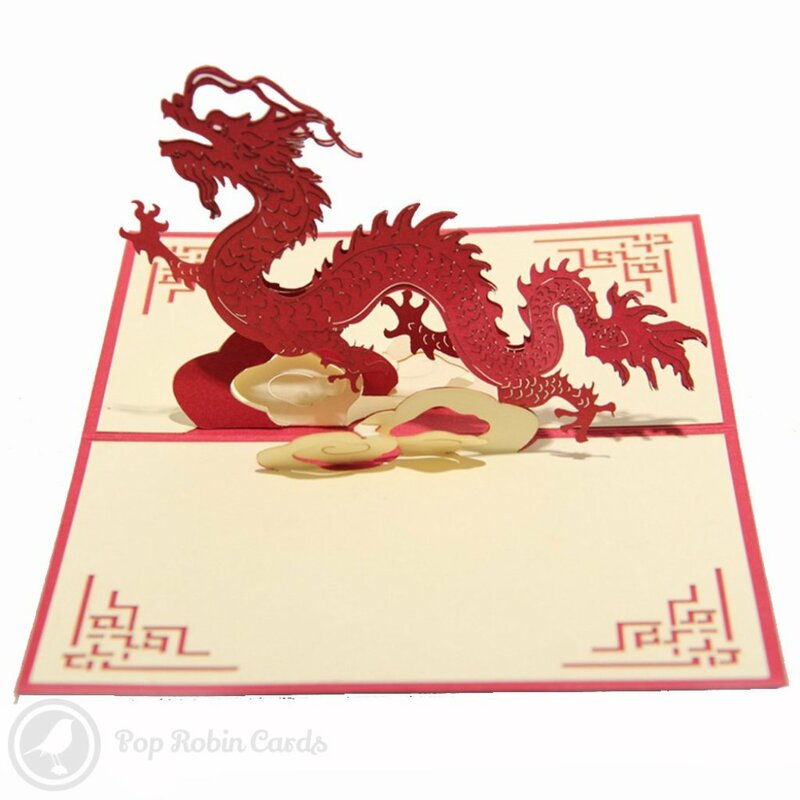 This stunning greetings card opens to reveal a beautiful Chinese dragon in a 3D pop-up design. 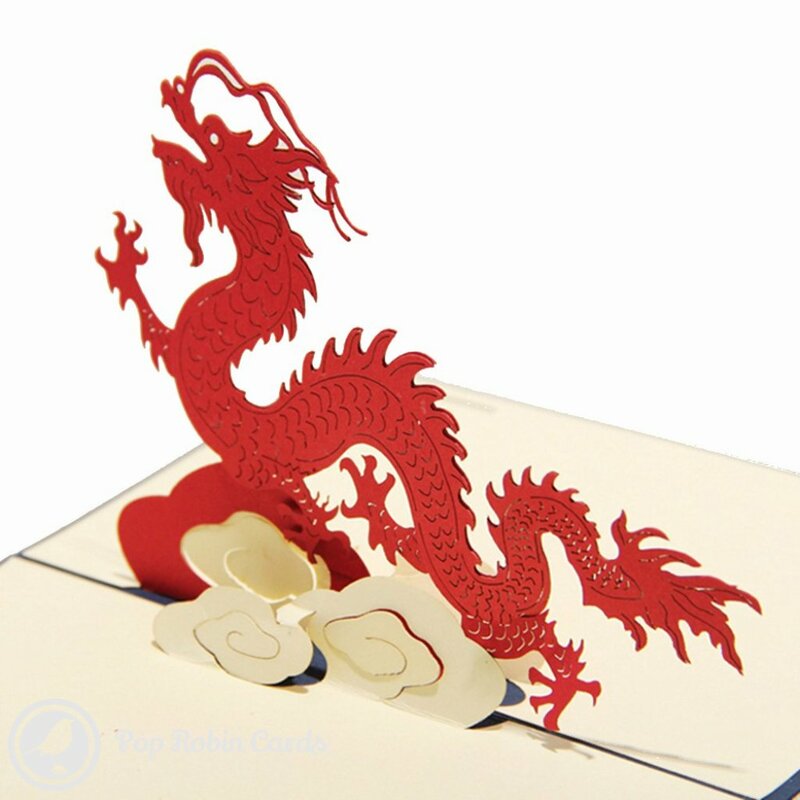 The dragon is complete with scales, claws and a swirling tail above white clouds. 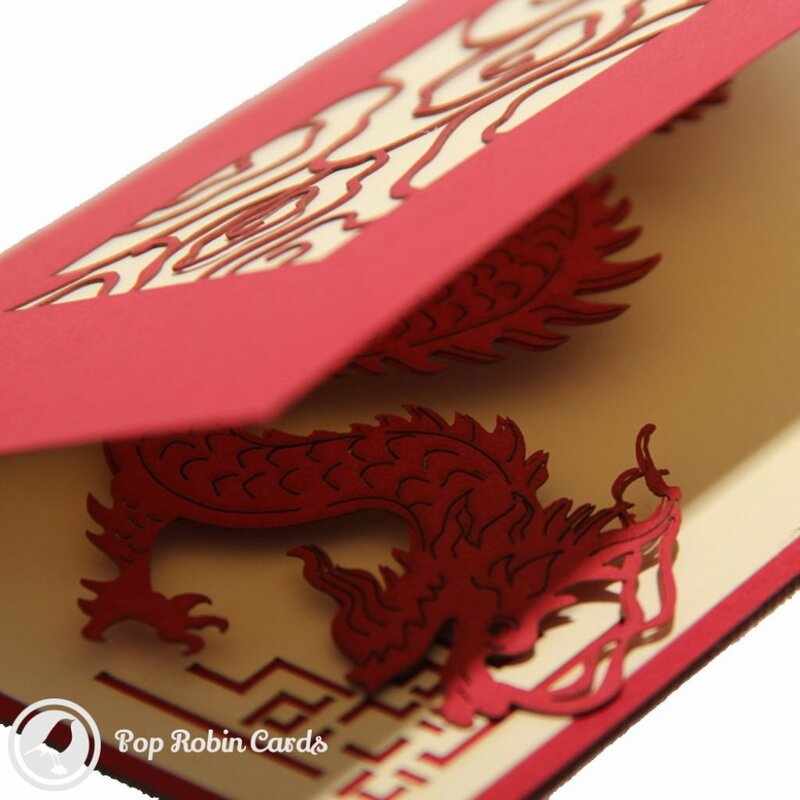 A Chinese-style stencil design completes the corners and cover, which is available in red or blue colours.